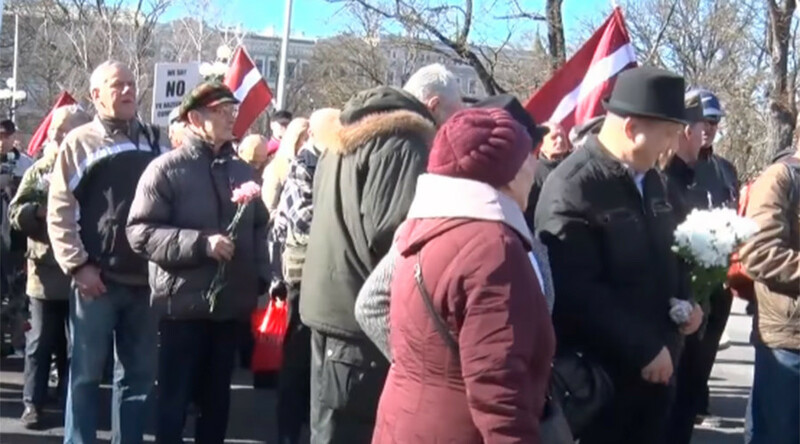 Former Nazi collaborationists and Waffen SS members marched through the Latvian capital to mark Legion Day, an unofficial holiday in the Baltic country that honors those who died fighting on the German side during World War II. The veterans, along with hundreds of their nationalist supporters, gathered at the Cathedral of St. John in Riga before marching to Dome Square and then on towards the Freedom Monument, where they commemorated the Latvian Legion’s deployment against the Red Army near the Russian town of Pskov in 1944. Officially, the Latvian government opposes the march, but, nevertheless, allows it to take place annually on the grounds of free speech. Russian Foreign Ministry spokeswoman Maria Zakharova condemned the glorification of Nazi-era war crimes and sharply criticized both the march and the Latvian authorities. “Latvian authorities continue indulging these marches year after year, which is shameful for a contemporary country that is a member of the EU,” she said in a statement. 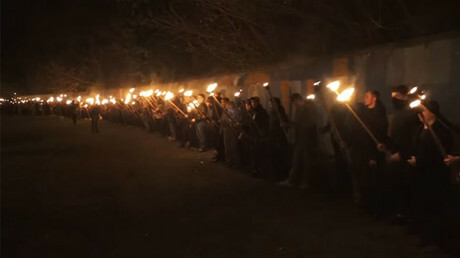 An estimated 2,000 people took part in the march. Police made five arrests, including two near the downtown Freedom Monument. Later in the day, a much smaller gathering of around 20 people set up a vigil, featuring pictures of Waffen SS victims, candles as well as a wreath, to denounce the glorification of Nazi crimes. The Latvian Legion of the Waffen-SS was created in 1943 on the orders of Adolf Hitler, and almost 150,000 Latvians served in its two divisions. On March 16, 1944, the Latvian Legion was deployed against the Red Army near the Russian town of Pskov and since 1998, the date of the battle has been commemorated with the annual march. 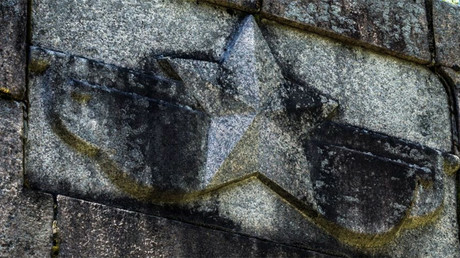 Latvians who served in the Waffen-SS not only fought against the Red Army but were also complicit in the atrocities committed against European Jews. Of some 70,000 Jews who lived in Latvia when Nazi Germany entered its territory, an estimated 67,000 were killed. The Latvian SS was among the last of the Nazi forces to surrender in 1945.